When most people think about tournament fishing in the United States, their first thoughts are powerful Nitro boats zipping through the morning fog in pursuit of Largemouth bass. Catfish tournaments, however, are the polar opposite. Most anglers use live bait instead of artificial lures. Tournament start times begin in the evening, right before sundown, opposed to bass tournaments which start early morning. 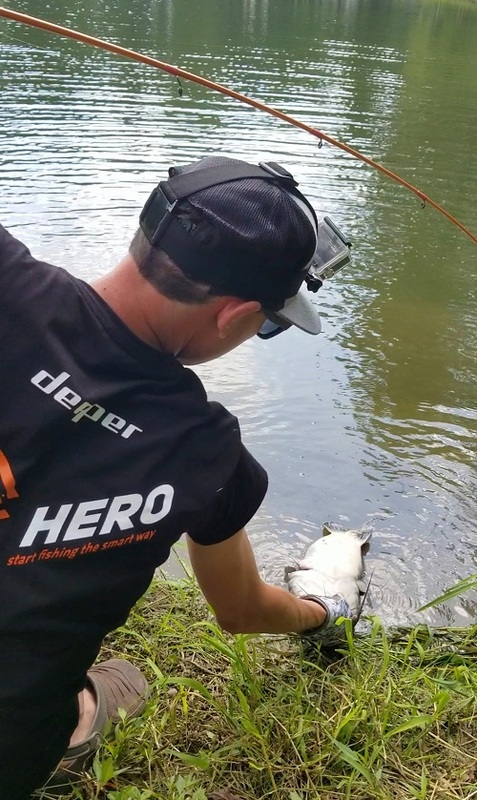 People draw names for spots and fish the same location for the entire time, unlike bass anglers that are constantly on the move. 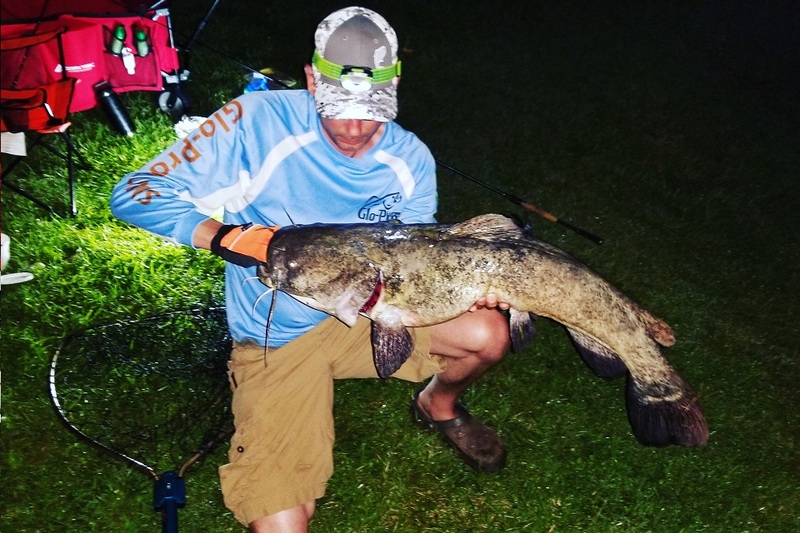 Catfish tournaments are rapidly growing in popularity because of these core fishing experience differences. Catfish have a stereotype of being big, simple minded, slow moving scavengers, that maintain at the deepest part of a body of water and wait for food to sink to the bottom. This cannot be further from the truth. Catfish are predators, sleek agile fish using their wide mouth as a vacuum to engulf fish whole. Over 3,000 species of catfish are spread out on every continent except Antarctica. In America, the 3 main species of catfish are Channel catfish, Blue catfish, and Flathead catfish. At the beginning of the tournament, everyone draws a number for a spot, then the teams slowly gather their gear and head down to the water. With this being the second time entering a catfish tournament, I felt much more prepared. I spent my morning creating an aerator out of a $5 bucket, and my afternoon filling it with baitfish, mostly bluegill. I added a “red light” headlamp and lantern that would help me see once the sun went down without drawing the attention of mosquitos and other bugs. My floats and hooks were also upgraded to a much larger size. Tied at the end of both my heavy gear rods were 2 massive hooks, 2 large sinkers, and 1 large float. Attached to the float were 4 glo sticks, which I used to help me keep track of the bobber at night. My third rod had a completely different setup, no hooks, no sinkers, no float, just my Deeper START. A few days before the tournament, I scouted this lake with my Deeper START to determine bottom contour and see where the fish were located. I discovered a deep drop off very close to the shoreline. As the sun went down, the bite picked up. Glo sticks and stars illuminated the lake which created a majestic atmosphere. After appreciating that moment, one light stood out from the rest. It was easy to locate my Deeper START due to its blinking light system. I positioned my Deeper START close to my float, to monitor the activity underwater. Once I determined the depth of the suspending catfish, I made an adjustment to the length of my leader and repositioned my cast. I noticed a lot of activity on my Deeper App at the same time my float disappeared, pulled into the depths by an aggressive Flathead catfish. I hooked up on my heavier setup of my 2 rods. As my drag started screaming, the catfish headed straight for an underwater tree. We had a stalemate for 5 minutes while I repositioned myself to make an attempt to pull this massive fish out of the structure. Slowly the fish began to lose energy and with the help of an excellent net-man, I caught and released a rewarding 20lb. Flathead. My partner canceled that night, but I placed into the winning bracket with that 20lb. Cat.